Hyundai has joined a host of other manufacturers, offering up to £5000 off a new car when you trade-in your old petrol or diesel. Starting from 1 September 2017, Hyundai will be offering up £5000 off the price off all new models. The scrappage scheme - like those offered by Vauxhall, BMW and Ford - will target petrol and diesel Euro 1 to 4 emissions standard cars, which were registered before 31 December 2009. The maximum discount is £5000 off the price of a Sante Fe, with £4000 off the i30, £3500 off the Tucson, £3000 off the i40, and £2000 for the i20 and ix20. The i10 will be avaiable with a £1500 saving. 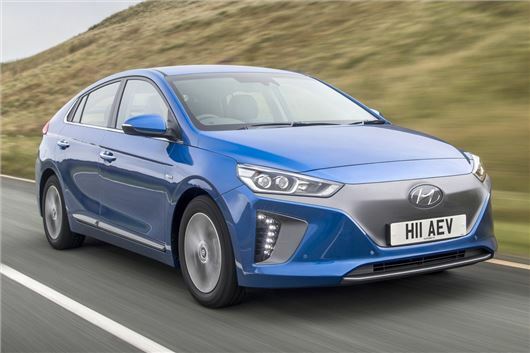 The Hyundai Ioniq hybrid will see a £2000 discount when you trade-in your old car. The offer will mean the i10 S 1.0 is available from £7995, the i20 S 1.0 is available from £9495 and the i30 S 1.0 is available from £12,995. The most polluting vehicles, those with Euro 1-3 emissions standard, will be scrapped - while owners of a Euro 4 model can trade-in their vehicle for any model across the Hyundai range. The scheme will run until the end of the year and customers must have owned the trade-in vehicle for at least 90 days to be eligible for the discount.